Does a Welcome Message Make a Good Website Greeting? 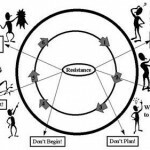 Resistance And The Sneaky Way It Can Undermine Your Productivity. 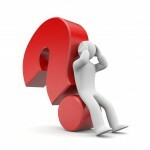 What Is The Most Read Part Of A Sales Letter? Could You Use A Talented, Honest, Hardworking, Experienced…Does a Welcome Message Make a Good Website Greeting?Resistance And The Sneaky Way It Can Undermine Your Productivity.It’s A Service Thang!What Is The Most Read Part Of A Sales Letter? The Psychological Circle of Advertising! In the world of advertising, reaching potential clients with a degree of empathy and an air of coolness (or quietly confident wisdom) gives an aura of leadership. This is useful because for the most part, society has an underlying need for acceptance. To be accepted there is a feeling that you must keep up with the Joneses. Eg. Be conformist. Every new product appeals to those who want to be non conformist because they must have what nobody else has. By the time everybody else has it the non conformist has moved on to the next big thing. The next big thing will only have appeal if it solves a perceived problem. This can be enabled by piquing a prospects emotions and engaging them. Do you see the psychology here? 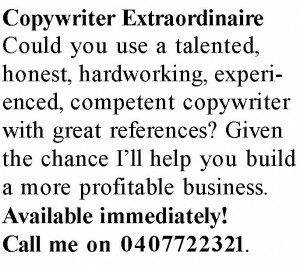 This is where the copywriter is most needed. It is their job to cause a connection between the product/service and the prospect. The best way I know to do this is to create a direct emotional response. 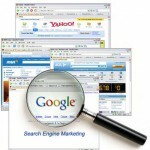 Here’s how I would use these keywords to get your attention. 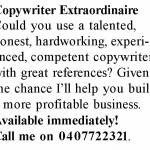 Could you use a talented, honest, hardworking, experienced, competent copywriter with great references? Given the chance I’ll help you build a more profitable business. Available immediately! Call me on 0407722321. So what is the basic emotion being appealed to here? It’s greed. The line about helping build a more profitable business touches this emotion, but only after positioning the prospect as highly trustworthy. The “availability” statement delivers a solution and the “call me” is a call to action. 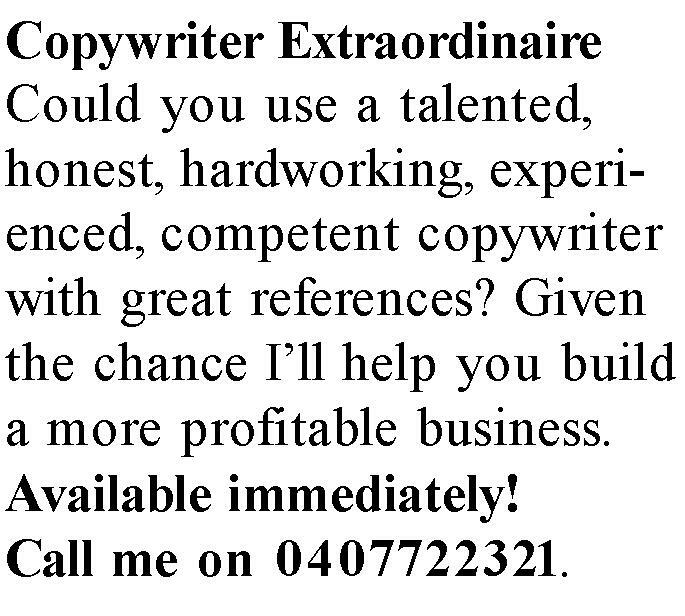 It is painfully obvious that only the person actively looking for a copywriter would be moved to act by reading this. Everyone else would simply gloss over it and move on. On the surface this appears to be a business to business transaction however businesses are emotionless. This is a secret a true copywriter knows instinctively. To get a response you must write to a person who is ready to buy. This person will be an individual or a representative, but at the end of the day it will be an emotional buy. Even if you are the only solution provider! For this reason your content needs to build a relationship. 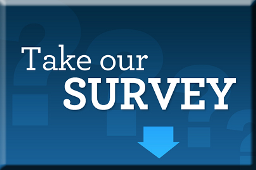 Business owners, click HERE to take the survey! 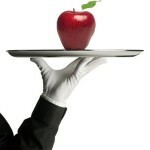 What simple but effective skill do most business owners overlook? .com.au, .net.au, .com, .net and many more! Click the link above to find out more.